Manufacturer of a wide range of products which include fly ash cement silo. Silo Bottom Cone Thickness 6 mm Premium Quality Plate. Shell Thickness 5 mm Premium Quality Plate. Top Cone Thickness 4 mm Premium Quality Plate. We provide Fly Ash Cement Silo. 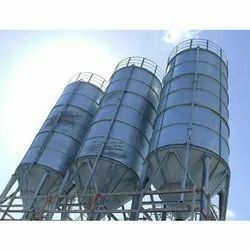 Looking for “Fly Ash Cement Silo”?